Skincare has become extremely important to me as you guys know. If you are new here, you can find me talking about skin care products live on my Instagram stories all the time. Find me HERE. 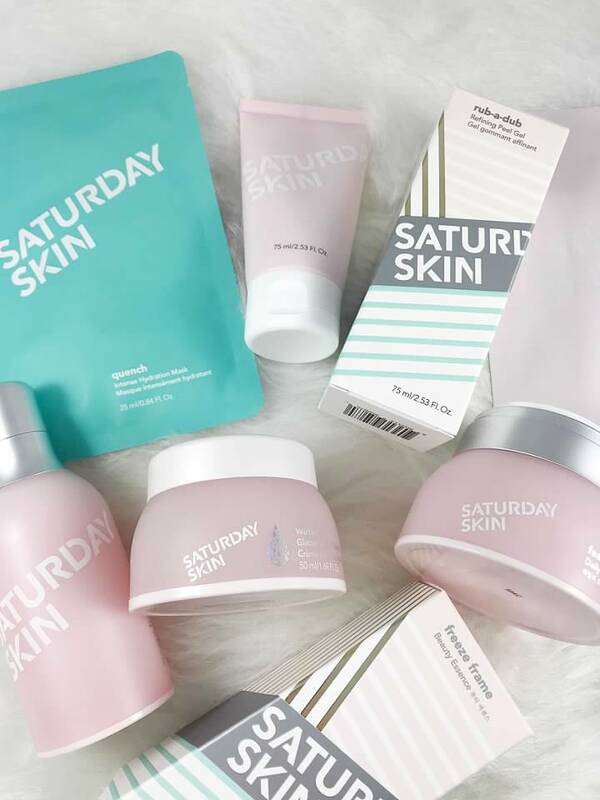 Saturday Skin a Korean Skin Care brand that was introduced to me just about a year ago and I have absolutely fallen in love. 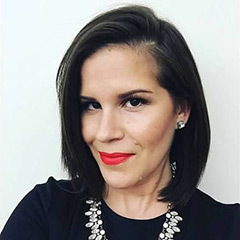 Not only do I love Skincare but Korean Skin care products and 10 step methods have been on my radar. 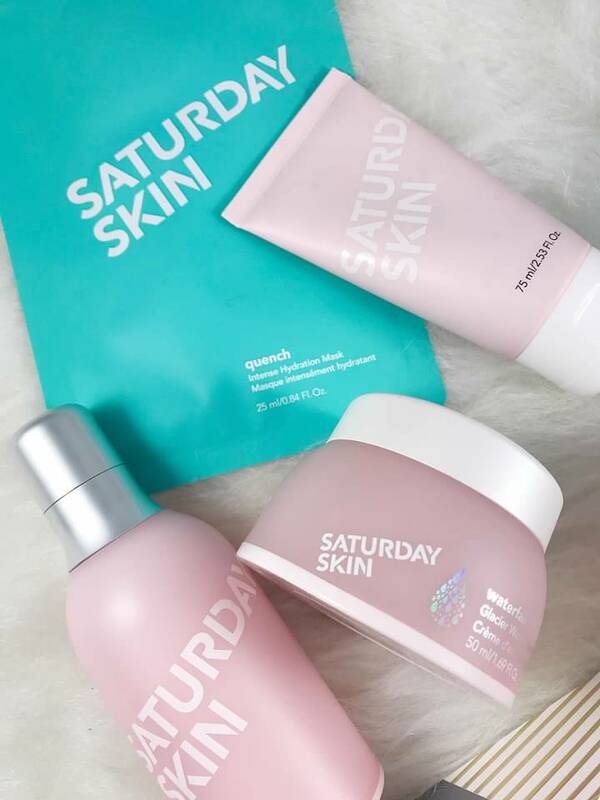 Radiant and well rested skin is what we all want and that is exactly what Saturday Skin products give you. Today you will get a break down of the products I have tried, along with my thoughts and my top 3! Waterfall Glacier Water Cream: I am going to start with the newest product I tried. Saturday Skins newest launch is more of a gel texture and I am in LOVE!!!!! I plan to write a post on my top 5 hydrating face creams and this is one. If you have dry skin or just like to feel hydrated all day you MUST try this cream. I tend to get an oily t zone yet I want to feel hydrated. Its can be hard to find a cream that leaves me hydrated yet not greasy and will not break me out. This does just that!!! Rub-A-Dub Refining Peel Gel: To keep this simple. Your face will feel like a baby’s bottom. WOW again I am in LOVE! You use this peel dry after you wash your face. Its extremely gentle on the skin with natural enzymes and powerful peptides that delivers a more bright and smooth complexion. You do not need a lot, just a pea size amount to make the magic happen! Rise + Shine Gentle Cleanser: Instagram stories Magic in a bottle. This gets rid of all dirt without drying out your skin, yet your face feels squeaky clean. Again products that are good for dry skin will sometimes break me out or give me texture because its too moisturizing. 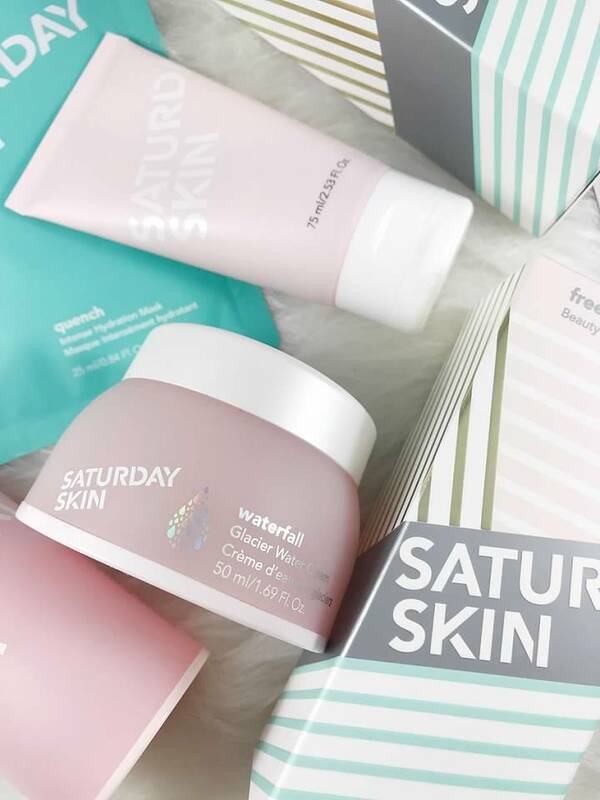 Saturday Skin has the ability to keep my skin free from breakouts. I recently showed this on my as I just started my THIRD tube of this. I will not stop either!!! Daily Dew Hydrating Essence Mist: Anything that is marketed as dewy or hydrating will forever catch my attention. lol This is a toner and essence in one to keep your face hydrated. You can use this under or over makeup and I have done both and love it all around. I have used my toner (I use this one) and then sprayed this on my face to get some more moisture back in my face before other products and just truly enjoy it. Featherweight Daily Moisturizing Cream: This cream is good. I truly enjoyed it however I just prefer the Water Glacier one over it. However that does not mean you will so I wanted to include this as I have tried it and can compare them both. This is a cream based and has a pump. I felt like I needed more than what the pump offered. This kept my skin hydrated as well but I just prefer the texture and moisture level of the water cream. The last three products in the line are the two face masks and eye cream. I do not own the eye cream but you better believe when I am out of mine I will buy to try. See it HERE! The masks I have used once and that is not enough to fully say they are the best face masks ever. However I want to give you the break down as well. Face Masks: The mask I used was the brightening one and wow they are JAM packed with the serum which is a plus and the mask had texture to it. I loved the texture because the mask did not slide off my face and the next day my face was glowing!!!! As you can see I very much enjoy this brand! I will most certainly be buying the eye cream to try once I am finished with the ones I have now. To recap, everything I have tried has been fantastic. I would say my top 3 favorite products are the face wash, the peel and the water cream. Have you tried this brand? I would love to hear your thoughts! DISCLAIMER: Products were sent for editorial consideration. Thoughts and opinions are my own. Links associated with BPAMC are affiliate links. Thank You for your constant love and support to Beauty Products Are My Cardio.